Multi-time world and Olympic champ Katinka Hosszu has hit a ‘difficult time’ with longtime coach and husband Shane Tusup, leading to reports that Hosszu’s training situation could be changing. Hungarian media report that Hosszu is already training in Miami, away from Tusup who is back in Hungary with Iron Aquatics. 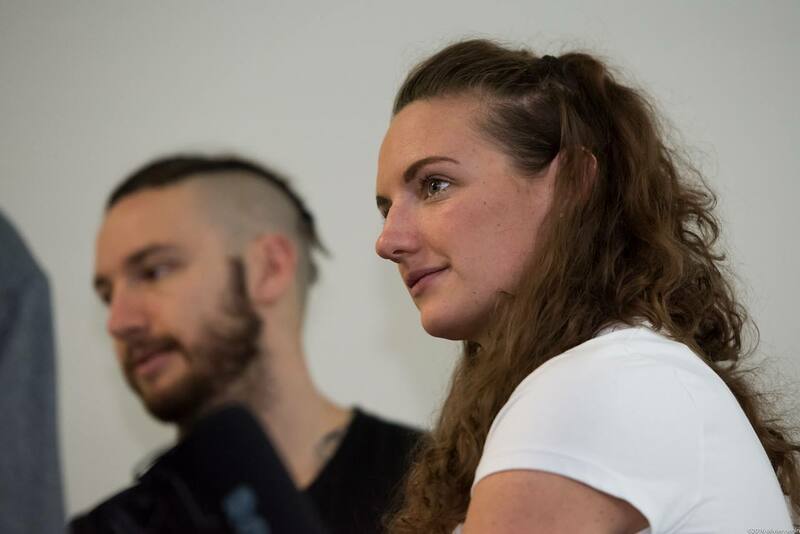 A post on Hosszu’s Facebook bearing both Hosszu’s and Tusup’s names admitted to fans in late December that their partnership – one that has produced 17 World Championships gold medals and 3 Olympic golds since 2013 – had hit a ‘difficult time’. In recent days, there have been several articles in the press that we haven’t commented on. Today, however, some texts have crossed a line, so we would like to clarify the situation before the of further falsehoods. It is true that our relationship is going through a difficult time. It is true that, in the meantime, the Iron Aquatics trainings are organised in all groups. Since we can’t say more at this moment, the bul door will be covered by the harsh and all-ground assumptions. We promise you, if we have something to say, we will be inform those who have concerns. In the meantime, we ask for all those speculating about us to exhibit strong reservations. The post refers to media reports coming out of Hungary over the past few weeks offering varying degrees of speculation on the couple’s relationship, both in coaching and personal terms. The reports suggest that Hosszu spent time recently in Miami, while Tusup remains coaching the duo’s club in Hungary. Tusup also did not accompany Hosszu to the short course European Championships in Copenhagen or the Lausanne Swim Cup in Switzerland. Hosszu previously trained at USC, where she competed in the NCAA. After a disappointing 2012 London Olympics, Hosszu switched up her training, asking then-boyfriend Tusup to become her coach. Since then, the two have married and put together one of the most successful swimming careers in history, at least in terms of volume of international medals and prize money. Hosszu has won 4 Olympic medals, 13 long course World Championships medals, 22 short course World Championships medals and upwards of 40 European Championships medals between short and long course. She also won an unprecedented 5 straight World Cup titles between 2012 and 2016, accruing huge amounts of prize money along the way. Beyond that, the two have created one of swimming’s most memorable marketing campaigns, branding Hosszu “the Iron Lady,” complete with a clothing line (“the Iron Lady collection”) and a club team coached by Tusup called Iron Aquatics. 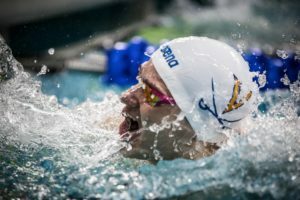 Tusup continues to coach Iron Aquatics, though some reports suggest Hosszu is no longer training with the club bearing her name. I would image so as the weather is far better here than in Miami, OH. Wonder where she might be training in Miami. Better weather and better coaching than Miami OH… then again getting coached by the life guard at the Y would be better than that. 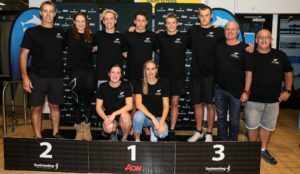 There is also a Miami in Australia; It’s a pretty vibrant swimming town too – Michelle Coleman, Thomas Fraser-Holmes, Lauren Boyle some of the bigger names out of Miami swim club in recent years. Pretty popular destination among Europeans in our winter too – A lot of Brits have spent a lot of time there over the last few winters. I wish the best for Katinka, and continued success. She’s had an amazing run over these last years, and is certainly one of the top three swimmers of the decade, along with Ledecky and Sjostrom. Without speculating on the details, I’d say that at the very least she’ll be taking a break from the, er, “distractions” posed by Tusup’s personality and behavior, examples of which are many. For Tusup, maybe he can figure out how to mellow out a LOT more. Current weather notwithstanding, Katinka can probably get more vitamin D training in South Florida than indoors in Hungary. What are your criteria of greatness to put KH in the same group with Sjostrom and Ledecky? Money earned? Or kilos of medals won in the meets where the swimmer with rank #27 beats someone with rank #83? Katrina Hosszu with the FINA’s help made her name highly visible in recent years. A great deal of contribution to that came from her husband. Don’t forget it like you him or not. My counter arguement to this athlètes you listed would be longevity and range of events. Your count is correct: only two records. It doesn’t mean that I devalue world records. I put them above medals won, because the medal is a win against someone else, and the record is an absolute measure of superiority. But if we use the number of records to measure the size of talent, the God given gift than by this criterion KH is well behind Katie Ledecky and Sarah Sjostrom. On the other hand we have an example of one of the greatest sprinter: Cate Campbell that has no individual world records but I in my personal view she belongs to elite of elite. As I see Yozhik you’re not liked here because you forgetsome of the facts. ‘ to be liked’ isn’t the reason for me to be here. But, please, don’t ask what this reason is. About ‘forgetsome of the facts’. What would you say if some swimmer of the age above 26 with the ranking above #50 in the period shorter than one year improves the personal bests at the 200 distance by 5 sec beating by that Pellegrini’s world record? I would say that we are witnessing the revolution in the doping industry. The fact that she was the first swimmer, male or female, to become a millionaire just from prize money alone comes to m ind. That is how she will be most likely remembered. And that is what most likely she couldn’t have done without her husband. Lol – you are off the deep end now. Most likely to be remembered as a millionaire. I think first and foremost she’ll be remembered as the Iron Lady (toughness and competitive). And secondly for her incredible range. She’s the I only girl in history under 2:00 for SCM 2FL, 2FR and 2BK if I recall correctly. That’s what I remember mainly! Get off the hate wagon! BTW, the “Iron Lady” brand wasn’t her invention, but has to be attributed to her husband. we never left the discussion Yozhik. if you wish to return in 5 years you can do so but I have already laid out some tempting facts on her performance of why she should be mentioned with the previous two athletes in the prior discussion. you have just given a bit of your opinion so I dont see the point of counter-arguing something you refuse to see. Have a great 5 years! If personal attacks make you happy, then go ahead, be happy – I don’t mind. Idk man 100 downvotes on a post is pretty impressive. You’ve definitely earned it! In any possible criteria she bolongs to the same group. Otherwise she was world champion (and multi medallist) well before Shane. Only four women got 3 or more individual Olympic gold medals in this century. Inge de Bruijn, Yana Klochkova, Katie Ledecky & Katinka Hosszu. Sjostrom has only one Olympic gold medal. Is this a good criteria? Don’t forget Debbie Meyer, who won the 200-400-800m individual in 1968. Egerszegi Kriszina has 5 individual gold. Touch should look up her name. FINA admitted that Katinka was superior to Sjostrom and Ledecky when they fixed the rules against Katinka in favor of lesser, one dimensional competitors. Fina also stated Sjöström was superior to anyone male or female when they gave her 1080 points for a race. since when does giving points based off a calculation (fina pts) make a statement? The base for high score achievement in FINA since 1990 (+/- a year or two). FINA lost all credibility when fixed the rules to hurt one athlete to help her competitors. Her multiple Olympic golds, world titles, world records (across SCM and LCM), World Cup titles, etc, place her on the pedestal as one of the best swimmers of the decade. Considering her range of events and her string of performances at all levels, I’ll stand by my claim. I wish her continued success, and I look forward to more amazing performances. But, even more, I wish her happiness. 10 of Ryan Lochte’s 12 individual world titles were won after he turned 25. What would you say about it? Someone check my math, but I only count 10 individual world titles for Lochte in long course. 7 of them were won after turning 25 (2011, 2013, 2015). I counted his two Olympic titles in, I’m sorry. & I think he was already 25 in 2009? Anyway, I just want to say there are swimmers who break out late, but it doesn’t mean they are not at top level. He actually turned 25 the day after the 2009 World Championships ended. Birthday August 3rd, World Champs closed August 2nd. I think there’s a few specific circumstances in play with Lochte. Specifically – 2011 saw an undertrained Phelps, and 2013 and 2015 saw no Phelps at all. He had really nice longevity, but I would stop short of saying that he broke out after the age of 25. Without Phelps in 2007, he would’ve won 2 more golds, for example. BUT – there are lots of other good examples of swimmers breaking out after 25. Katie Meili is a fantastic example. Certainly not the norm, but there are other examples. Wish her the best professionally and personally.